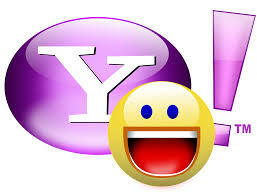 Please Note: Above links are translated with the help of google translator. They may not be true translation. 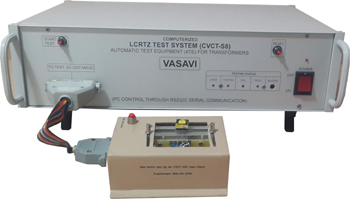 Vasavi Electronics specialize in Automatic Test Equipment , Automatic Test Equipment for Transformers , Automatic Transformer tester , Automatic Relay Tester , Automatic Test Equipment for Relay , Test & measuring Instruments for Transformers, coils, relays, capacitors and cables, Turns counter , LCR Meter ,Handheld LCR Meter, Digital Turns Tester and Digital LCR Meter with transformation ratio platform for transformers, Coil & Transformer Test Equipment, Coil Testing, Toroidal turns Tester, Toroidal Turns Counter , Bobbin Turns tester , Bobbin turns counter , Coil Turns tester, Coil Turns Counter, Automatic SMPS / ADAPTER test System, Electronic DC Load, DC Power Supply. 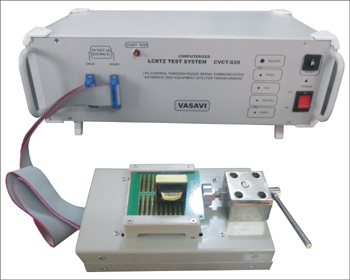 Vasavi Electronics was established in early 70’s. Vasavi is led by a team of highly qualified managers and research engineers with decades of experience in instrumentation field. Vasavi Electronics surpasses international competition by orienting the products to the present trends. 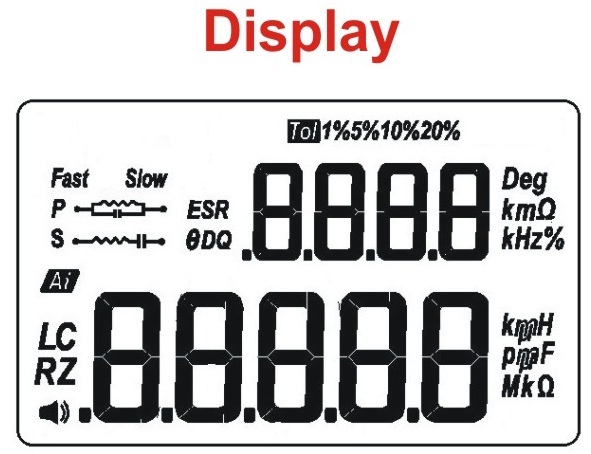 Vasavi Electronics is proud for its first introduction of Digital LCR Meters in India during early 70’s. After its successful launch of LCR meters , started increasing product range like Frequency Generators , Oscilloscopes , Digital Meters . etc and wide range of import substitute instruments. During early 90’s Vasavi has realized the importance of Computer controls and automation in testing . So it has with drawn many of the non profit and low value items. As a replacement it has introduced novel concepts in component testing with inexpensive solutions that tune with Indian requirements. 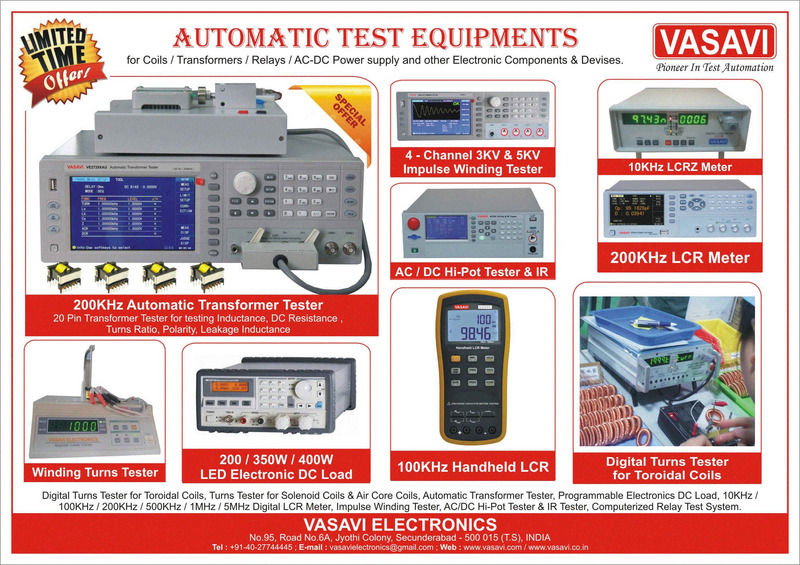 Vasavi Electronics started taking up challenging projects on software controlled Automatic Test Equipments. 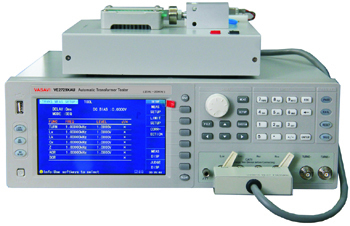 Computerized Automatic Transformer Tester with inbuilt 20 Pin / Channel Scanner for Testing Coils & Transformers (Ferrite) with Max. 10 Windings. Can Test Inductance, Capacitance, Turns Ratio with Winding Polaity, DC Resistance, Q, ESR, Rac and Etc.. Computerized Automatic Transformer Tester with inbuilt 8 Pin / Channel Scanner for Testing Coils & Transformers (Ferrite) with Max. 4 Windings. Can Test Inductance, Capacitance, Turns Ratio with Winding Polaity, DC Resistance, Q, ESR, Rac and Etc..
Automatic Transformer Tester with inbuilt 20 Pin / Channel Scanner for Testing Coils & Transformers (Ferrite) with Max. 10 Windings. Can Test Inductance, Capacitance, Turns Ratio with Winding Polaity, DC Resistance, Q, ESR, Rac and Etc..
Digital Handheld LCR Meter that can test Inductance (L), Capacitance (C), AC Resistance, Q, D, ESR and Tan. It comes with Battery Backup, very easy and handy to use. 10KHz Digital LCR Meter that can test Inductance (L), Capacitance (C), AC Resistance, Q, D, ESR and Tan. 10KHz Digital LCR Meter that can test Inductance (L), Capacitance (C), AC Resistance, Q, D. Comes with Bin Selection option.